Adaline Bowman is a kind, genuine woman, who dabbles in identity theft. Also, she was born in 1908 – and is ageless due to a supernatural car crash and lightning strike. She lives in San Francisco and works at a library. One day, she’s tasked with digitizing old film reels. Watching them triggers a flashback of her life up until now. We learn Adaline was married and had a child before her supernatural accident. When her husband died, she raised her daughter alone. But as the years passed, her never-aging appearance arouses suspicion from friends, neighbors, and eventually the federal government. Adaline escapes prying eyes and the g-men and comes up with a plan to protect herself: every ten years, she will move and assume a new name. 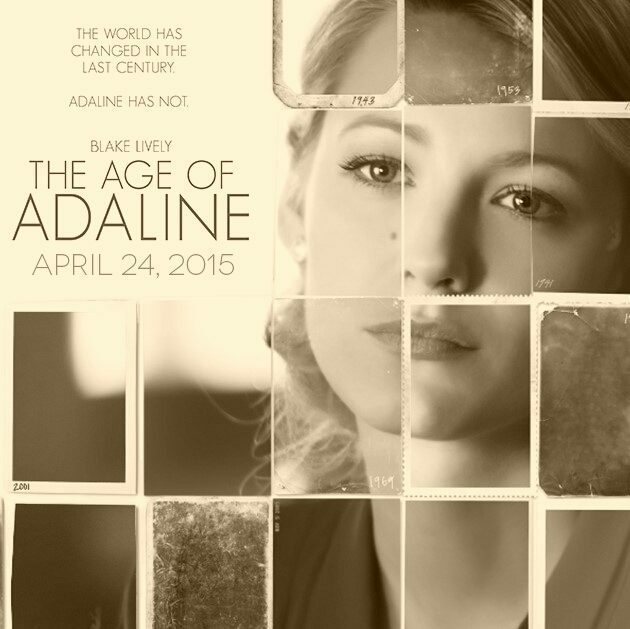 This continues until the modern day: Adaline’s daughter is now elderly and the end of another decade approaches. As New Year’s Day and Adaline’s birthday arrive, she celebrates with friends at a New Year’s Eve party at a historic ballroom. There she finds an old photo of herself and also a handsome man who ends up spending a lot of time and energy trying to woo her. This includes threatening to withhold donations to her library unless she goes on a date with him. Things go very well, but this end up rekindling feelings of her dead husband, as well as another secret lover that she left before he had a chance to propose. Handsome man oversteps, though, by showing up at her home without permission. This puts a chill on things, until Adaline’s aging daughter shares her feelings with Adaline, wanting her to live as normal as a life as possible. Adaline gives it a second chance with handsome man and they really hit it off. Adaline agrees to a weekend getaway with his family. BUT IT TURNS OUT HANDSOME MAN’S DAD IS THE SECRET LOVER DUDE THAT SHE LEFT DECADES AGO AND THEY HAVE A WEIRD MOMENT IN FRONT OF EVERYONE ELSE. In another flashback, we learn of a time when handsome man’s dad was also a handsome man and they had a lovely romance in Europe. Handsome old man confronts her about being ageless and she kind of freaks out and bails. But then she gets into a car accident that kind of approximates the supernatural accident she was in more than 70 years ago and she technically dies before being resuscitated. This undoes whatever sciencey magic thingy happened to her before, allowing her to age and love normally without fear of unwanted attention.